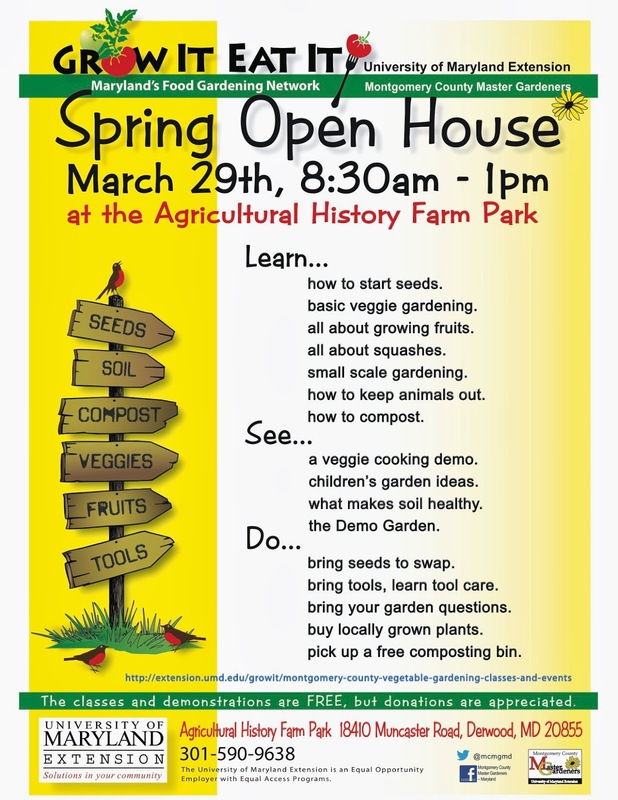 The Montgomery County MGs are having a Grow It Eat It Open House next Saturday (March 29) and we hope you’ll join us! We’ll have a full slate of interesting talks and lots of other opportunities to learn and share information. Full schedule is here. It’s going to be fun! I hope we’ll have good weather so visitors can come up to see the Demo Garden, though there is not a lot going on yet in the vegetable beds. Mark your calendar for our other open houses this year, on May 3 and July 26, when the garden will be in full swing and we’ll have plenty of hands-on demos along with many more seasonally-appropriate talks and information. See you there!